Should You Buy Ceramic Flooring Tile? Ceramic tile is a popular choice for today’s homes. It is durable, easy to clean and gives rooms an upscale look. Ceramic tile is available in a number of sizes, shapes, textures, and colors, and can match almost any decorating style. Laying ceramic tile is a job that handy homeowners can do themselves with patience and a bit of guidance. However, mislaid or unevenly spaced tiles will look shabby and removing them will be a chore, so if you doubt your abilities leave the installation to a professional. Ceramic flooring tiles range in price from less than $1 each to several dollars a tile, and you will pay a premium for professional installation. 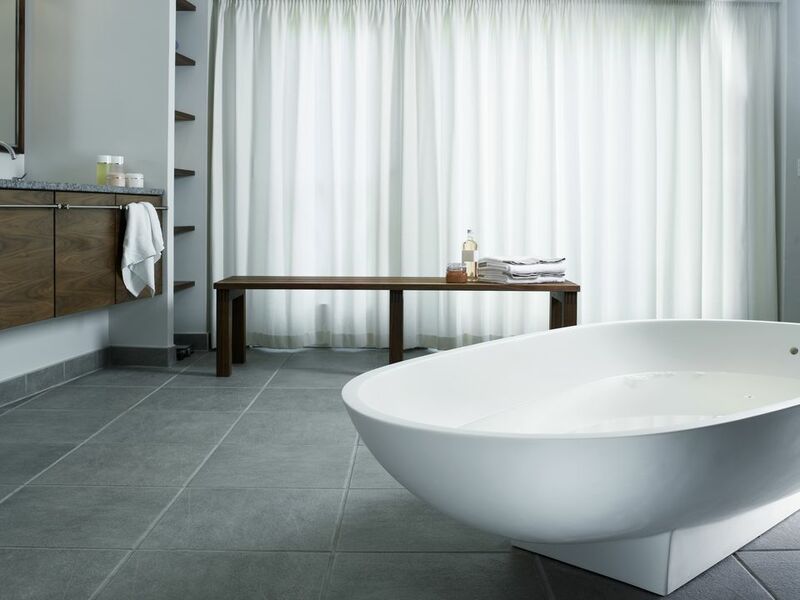 According to the Tile Council of North America, there are two major types of ceramic tile. Quarry tile is made by extrusion from natural clay or shale. The other type is made by compacting clay dust. The second category includes wall tile, mosaic tiles, and floor tile. Any ceramic tile type may be glazed or unglazed, including porcelain tiles. Glazed tiles are available in high-gloss, matte, and abrasive slip-resistant finishes. High-gloss tiles will become slippery when wet, so they are probably not a good choice for flooring. Hand-painted glazed tiles come in beautiful and intricate patterns, but the glaze doesn’t go all the way through, so if it gets chipped, you’re going to see the color inside, which will give your tile a discordant look. Mosaic tile is made from different types of clay with color pigments added so the color goes all the way through the tile. These tiles are available in glazed or unglazed finishes. They also resist moisture and will not chip easily. Quarry tile is made from a mixture of unglazed clays. These tiles come in earth tones: gray, red and brown. The color comes from the clay as well as the temperature and duration of firing. These tiles are usually porous and may stain if left unsealed. Quarry tiles come in squares, rectangles, and hexagons.